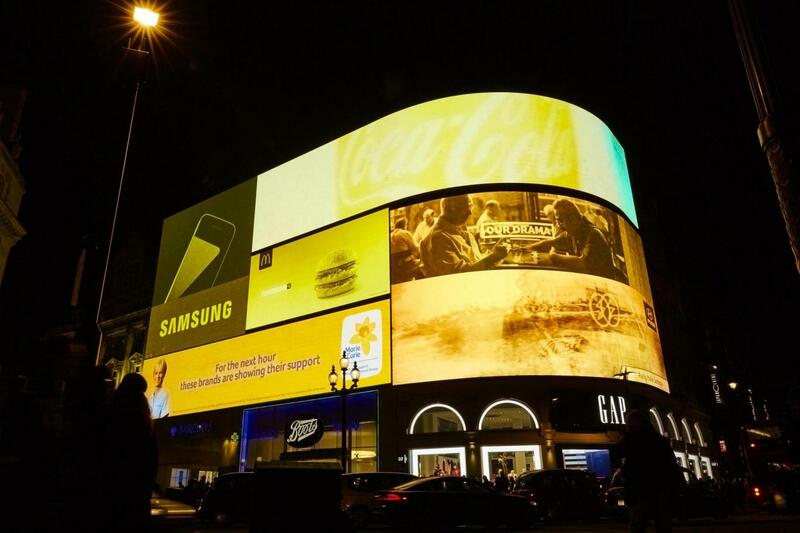 Piccadilly Circus’s iconic billboards turned yellow for an hour in support of UK nurses working through the night to care for people living with terminal illness. As the clocks went back brands gave an hour of their time to terminal illness charity Marie Curie by turning their panels yellow. The campaign aimed to raise awareness for the nurses who working an extra hour on Saturday night to care for the terminally ill.